I Found A Bird Egg, How Do I Care For It And Get The Egg To Hatch? 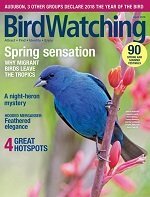 Each breeding season, questions about finding a bird egg arrive in our email. "How do I care for the on I found and can I get it to hatch?" 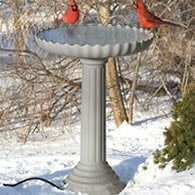 We understand this question comes from those that care about our backyard birds. Unfortunately, the answer is not a simple step by step guide to hatching them. In most cases it is even illegal to be in possession of a them. These laws are there to protect birds. Believe it or not but there are places that sell them to restaurants to be used in exotic dishes. 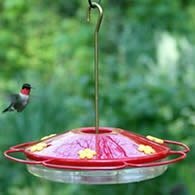 With the exception of European Starlings, House Sparrows and Pigeons, any possession of eggs, feathers, nest, or birds would be in violation of the Migratory Bird Treaty Act. Forget The Law, I Care About The Baby Bird Inside! So do we. The process of hatching to fledgling is not as simple as it appears. Temperature, humidity, and turning of the egg all play a part in successfully getting a bird from egg to flying free in the wild. Most wildlife rehabilitators will have little interest in hatching an egg you've found. On average, an egg needs to have a constant temperature of 100 degrees fahrenheit to hatch. Turning of the egg to prevent overheating needs to be done several times daily throughout the incubation time. Humidity is also important during incubation. Providing all these requirements is more than most people can do. Keep in mind this is over a 24 hour time period. No sleeping throughout the night. Most bird eggs you find will not be viable. Eggs are fragile and while there may not be any visible cracks on the eggshell, an egg dropped on the ground is most likely no longer a viable egg. The membrane inside maybe damaged causing harm to the embryo. As stated before, temperature plays a major part in whether an egg hatches or not. An egg left to cool once the incubation process has been started can spell disaster for the egg. When and where you find the bird egg can be significant in the viability of the egg as well. Predators often drop eggs or place them somewhere. Often leaving them because of harassment from other predators or from adult birds attacking them. How long the egg may have been left in the open can be a determining factor in whether the egg is able to hatch. Do you know how long the egg has been left out to the elements? Even if you were successful in getting an egg to hatch, the survival chances of the young nestling would be minimal at best. Feeding a nestling would require a commitment of 16 hours a day 7 days a week for 2 weeks on average. Dietary needs of baby birds vary with species. Not all birds eat worms. Most require a variety of insects delivered several times each hour of the day. The primary purpose of this page is to give you an understanding of why you should not attempt to hatch a bird egg. At first it seems as though it should be a simple process of just keeping the egg warm until it hatches. But as you can now understand, wild birds have a huge job getting their young from egg to fledgling. So What Can You Do When You Find A Bird Egg? The best thing you can do is respect the Migratory Bird Treaty Act and leave the egg alone. In most cases it is unlikely the egg would hatch. If you know the egg is from a rare or endangered species, call your state fish and wildlife agency or a wildlife rehabilitator. Do not place a bird egg in the nest of another bird. 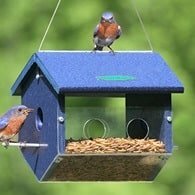 Just because you may have Wrens nesting in a birdhouse does not mean they'll raise a Robin or Chickadee. Finding an egg that doesn't belong in the nest may cause abandonment of the entire nest. 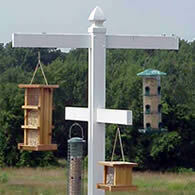 Exceptions for Purple Martins or birds of the same species do exist however. But never with different species. 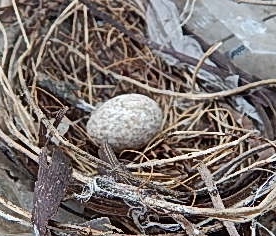 While it is always a disappointment finding a bird egg left or abandoned in a nest, there is little more we can do but accept that this is a part of nature. Birds themselves, are the best resource for incubating and raising young.